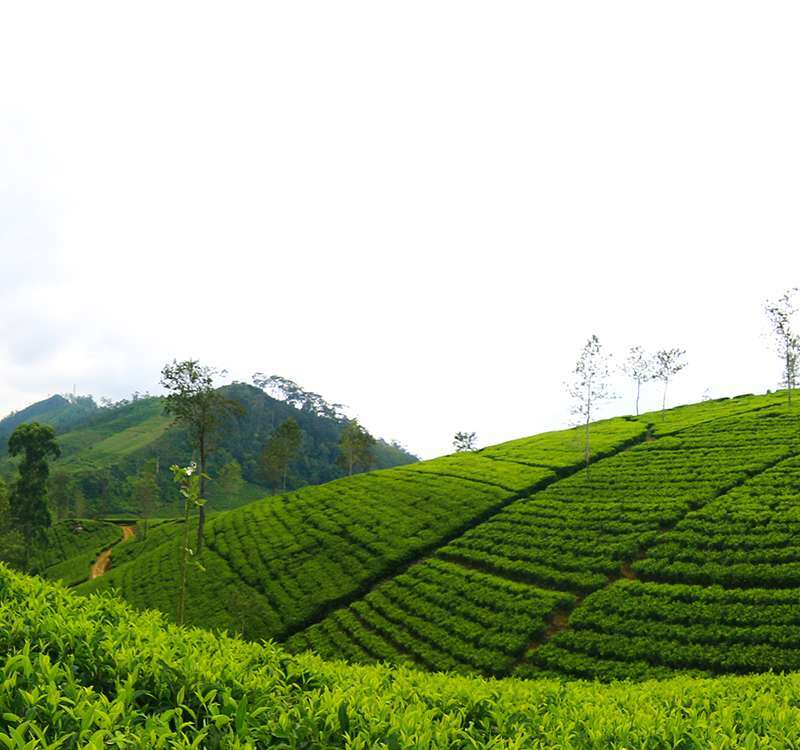 The heavenly flavours infused into our organic Ceylon Tea have the power to soothe the soul and are part of the wonderful secrets Mother Nature has gifted us in the Golden Valley, which we look to protect. Not only does Bogawantalawa Tea Estates produce ‘uncompensated’ carbon neutral teas, but with the addition of state-of-the-art carbon neutral facilities and the use of renewable energy, we have become perhaps the world’s first tea growing, manufacturing and marketing company to obtain carbon neutral status for both product and facility. This carbon neutral certification was awarded based on maintaining international Carbon Footprint Standards from the verification of direct, indirect and other greenhouse gas (GHG) emissions adhering to stringent ISO protocols. As part of our mission to be environmentally sustainable, we follow key initiatives including R&D projects that help us utilise natural fertilisers and the promotion of efficient water management. Additionally, we have switched to non-conventional renewable energy such as solar and hydro power and actively practice agroforestry, where we are more than half way through to reaching our goal of planting one million trees by 2020. Bogwantalawa has the distinction of being the world’s first tea growing, manufacturing and marketing company selling uncompensated carbon neutral teas from its state of the art carbon neutral facilities. We are mindful of the impact caused to the environment and takes measures to preserve and protect the environment via opting for renewable energy and net carbon balance which is undoubtedly beneficial to stabilize emission of Carbon Foot Print. The certifications for both the product and the organization were provided after verifying all three levels of direct, indirect and other Green House Gasses (GHG) emissions adhering to the ISO protocol in addition with international Carbon Footprint standards. Continuous researches and initiatives are being undertaken to utilize natural resources rather than chemical fertilizers to protect and enhance natural soil quality and microbial activity by the research and development team of Bogawantalawa Tea Estates PLC. Natural composting and Site-specific fertilizers are already being utilized after successful trials while research and initiatives are being continuously carried out on the application of Bio film, Micro soil, Fish fertilizer and Wormy wash. Even though we have been gifted with unlimited supply of water, it is our responsibility to utilize this resource wisely, thus Bogawantalawa Tea Estates PLC has already undertaken initiatives to attain this goal by introducing effective methodologies such as Drip Irrigation systems and Rainwater harvesting systems in few of its estates while conducting continuous water management awareness campaigns among its estate community for efficient water utilization. Bogawantalawa Tea Estates PLC is practicing the science of forestry to meet the desired goals and needs in a sustainable manner by implementing Plantation Forestry, Social Forestry and Conservation Forestry initiatives. We are currently managing nurseries with 200,000 Seedlings per year with commercial species, natural species, herbs and fruit plants while aiming to plant 160,000 trees a year. So far we have achieved a milestone of planting more than 500,000 trees and we aim to achieve the goal of 1,000,000 trees by the year 2020. Bogawantalawa Tea Estates is now looking into the feasibility of adopting other means of generating power, among which the company has already developed many sites for generating renewable energy such as hydro and solar power and continues to focus on research and development on wind power.